HÀ NỘI — Since its establishment in 1961 as part of an UNESCO initiative, the Organisation of Asia-Pacific News Agencies (OANA) has become a forum from which news is directly exchanged among news agencies, helping to spread official news from each country to the region and the world, head of the Vietnam News Agency (VNA) has said. 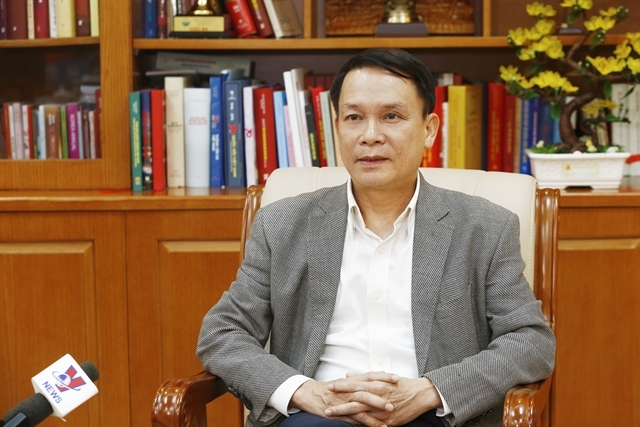 In an interview on the threshold of the 44th meeting of the OANA Executive Board in Hà Nội from April 18-20 under the theme “For a Professional and Innovative Journalism”, VNA Director General Nguyễn Đức Lợi said the information released by the organisation conveyed a message of a human society and a region of peace, prosperity and mutual understanding among the peoples of the countries. OANA's membership included 44 news agencies from 35 countries, including major and influential nations, which had created a strong voice for the organisation over the past nearly six decades. In recent years, in the face of the diverse development of new media forms on the basis of the modern technology as well as the rapid spread of fake and wrongful news, the OANA had not only provided information directly to press outlets and partners but also shouldered the responsibility of journalists in verifying information, thus creating public trust in the official media, the official said. Director General Lợi added the OANA also served as a quality professional forum among the top journalists in the region and had affirmed itself as a regional press organisation which had been enjoying a rising reputation in the world media and working in an effective way. On the role and contributions of the VNA, Lợi stressed that joining the organisation early in 1969 showed the national news agency’s proactiveness in international integration. During the war, the VNA’s membership of the OANA effectively helped provide information about Việt Nam to the world so foreign friends could understand and support the Party and State’s policies and stance. The news agency had also received very valuable and heartfelt help from friends in many fields to gradually perfect and develop itself into a multimedia group as it was now, the official said. Since joining, the VNA had been an active member of the OANA, updating information to the organisation, and taking a full and responsible part in activities within the framework of the OANA. The VNA had been elected to the OANA Executive Board for two consecutive terms since 2013, Lợi highlighted. The official said that in the current context, the intensive and extensive international integration by the VNA would help popularise information on the Party and State’s policies and guidelines to the public in the region and the world over. He also highlighted that the selection by the OANA of the VNA as the host of the meeting affirmed the role and the voice of Việt Nam’s national news agency in the multilateral news organisation. In the context that news agencies were facing the challenges on the reform of content and technology, the theme of the meeting selected by the VNA and OANA manifested the responsibility of the host to the development of the organisation to strongly popularise the main flow of information in the world, thus helping build a healthy, professional and innovative journalism sector in Asia-Pacific, Lợi said.